Looking for squirrel removal services in Cypress for squirrels in the attic? Sure, the little rascals are cute, but they can drive you nuts, especially when they take up residence in your home or business. The Critter Team specializes in removing and controlling all of their species in the Cypress area. Not only can they disturb the peace and quiet of your home, business or industrial facility, but they also have a nasty habit of chewing up electric wires, insulation, and other building materials. Aside from the expense of cleaning up the mess and making repairs to buildings and equipment, they increase the risk of a catastrophic fire due to wire chewing. The Critter Team is a wildlife trapping company with a Texas wildlife trapping permit. We specialize in the provision of humane critter trapping and exclusion services in Cypress Texas. Call The Critter Team today to receive a critter control consultation. Some people think of squirrels as a long tail rat. It depends on your point of view. The bottom line is that they often take refuge in attics. Trees will do, but attics offer all the amenities that they could ask for. Your attic is an ideal venue for wood chewing and nest building. They also like to chew on pipes, wires and heating ducts. It’s hard to find a tree with pipes and HVAC ducts. That’s why you don’t want them living in your home or business attic. The incessant sound of chewing, scratching and scampering can also keep you from getting a decent night’s sleep. They can really make a racket as they run across your ceiling and along the eves of your building. Most squirrels are gray, but some are black, brown or red. They only weigh about one pound, but they can sure do a lot of damage in a short period of time. Did you know that the females give birth to a litter of baby squirrels twice a year, one in late summer and another during the winter? Each litter brings three or four babies into the world. That’s only one of many reasons you don’t want them in the attic. It isn’t nearly as easy as you might think to get those squirrels out of your home or business. They are smart, alert and agile. It takes a professionally trained squirrel control company in Cypress and the right equipment to do the job properly. Don’t allow those rodents to take over your home, building or industrial facility. The Critter Team serves cities and towns in the Cypress TX area. Please call The Critter Team today to schedule a squirrel removal appointment. The Critter Team is a veteran-owned business that offers estimates, affordable prices, and unrivaled customer service. 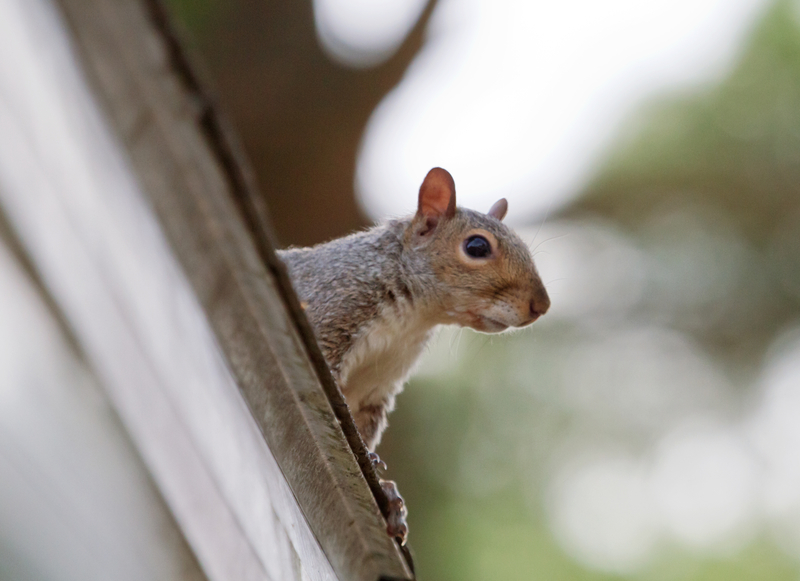 There are many nuisance critters that are roaming the neighborhood around Texas and squirrels are among the most notable vermins called in for management. Our services are offered whether in your house or at any business buildings. These nuisances critters are lurking in any corner of the place that they are intruding. You can usually find them in a crawlspace, especially in the attics and chimneys. There are many creatures that are adaptable to their surroundings. They are one of them. These nuisance critters are located worldwide and are living in different habitats. They have opted to adapt to urban areas due to humans invading their natural habitats. Their favorite places to put their nests are usually on trees where their natural predators cannot reach them. Due to their tendencies to build nests on a high place these nuisance critters are attracted to homeowners’ attics to become a place they want to live in. Aside from trees, it is just one part of the house that these nuisance critters love to make a home of. This is just one of the many reasons why these nuisance critters like to stay at your house and can cause you a lot of money if the problem is not dealt with as soon as possible. These nuisance critters are sometimes adorable to look at, may even want to adopt them to become domestic animals. But once they start to cause damages around your house or business place you will be second guessing if it is okay to leave them alone and not do anything about them. These nuisance critters can cause different and a lot of damages if they are not tended to. They could cause fires when they try to chew some wires around your house or business place or even the stability of the place where the nuisance critters are. Steps are available that can prove helpful when you encounter these nuisance critters. Dealing with these nuisance critters using the correct procedures can be less stressful to the one trying to trap them. But the most inexpensive and logical thing to do when dealing with these nuisance critters is by hiring a licensed professional and insured nuisance critter management expert. It has been proven that this method is the best choice to do when dealing with these nuisance critters. It is very important that these nuisance critters must be dealt with as soon as possible to prevent them from causing any more harm or damages to your house or business place and the people involved in it.